Who doesn’t love potatoes and chickpeas? 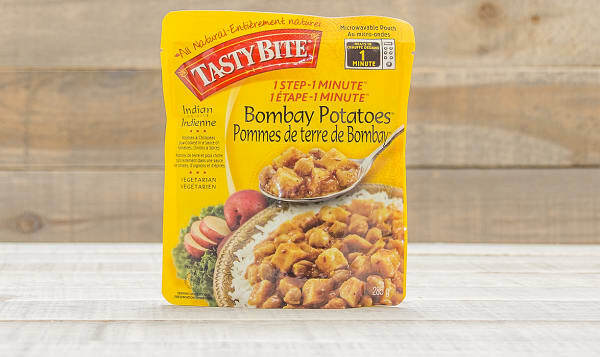 These Bombay Potatoes combine both in a robustly spiced sauce. Tasty Bite slow-cooks potatoes and chickpeas with fresh tomatoes, onions, and spices for a delicious addition to any meal.